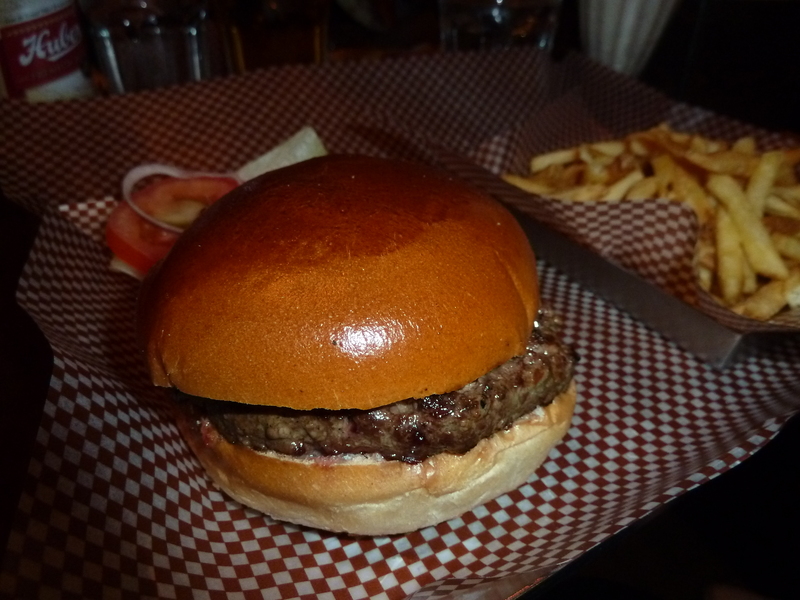 After Haché Burgers and The Diner, this blog post completes a hat-trick of burger reviews! BRGR.CO is the London off-shoot of the Beirut-based restaurant. Judging by the amount of new burger places opening in London, the burger food trend has plenty of mileage in it yet and the wider world is not oblivious to this (US-chain Shake Shack opens in Covent Garden on July 5th). BRGR.CO themselves are expanding further into London, with a branch planned to open in Chelsea. My trip to BRGR.CO came about due to fortunate circumstances otherwise known as Twitter competitions. I’m a Twitter novice but keeping an eye on the food tweet scene can be very beneficial. In this case, I won a late-night meal at BRGR.CO, Soho, which made me very happy indeed. The deal is a bargain in itself: a 6oz burger, fries and a beer for £10 between 10pm and 1am. 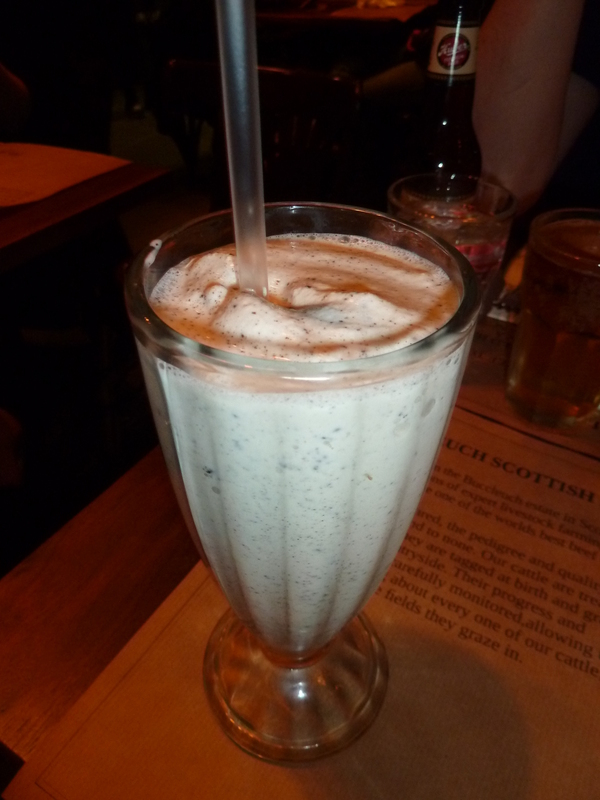 Not being a beer drinker, I took a trusty friend who happily consumed it on my behalf, whilst I tucked into an Oreo Milkshake (£4.50), which was thick and creamy, but couldn’t quite get me over the Haché milkshake (although I suspect my current peanut fetish is biasing my opinion here). Now for the burger itself. The patty is of the thinner variety and was, in short, really quite good. 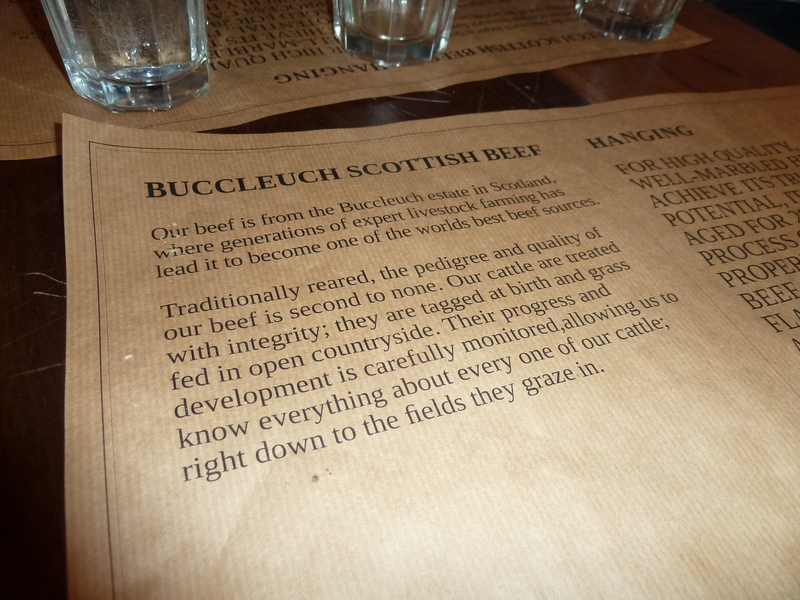 I was surprised by the pure beefyness of the flavour and it was also more succulent that many burgers I’ve sampled lately. The bun was a good consistency and the salad was served on the side, which allows any fusspots to sort out what they want to add. The only disappointment were the fries, which were just like crispy air. Such a shame. But the burger kept me happy. And my dining partner said it was the best burger he’d eaten in a long time! The Mediterranean Veggie Sandwich (£4.95) – Slices of grilled aubergine, courgette and mushroom, topped with fresh iceberg lettuce, rocket leaves, tomato and radish with melted Gruyère cheese. The Falafel BRGR (£4.95) – Fava bean and spices with homemade herb tahini sauce, tomato, parsley and radish. Interestingly, they also offer an ‘Afternoon Tea’ menu for £17, which includes mini-burgers, mini-cakes, milkshakes, and, of course, tea! I’ve got my eye on their 8oz steak burger so I have a feeling BRGR.CO Soho and I will meet again. 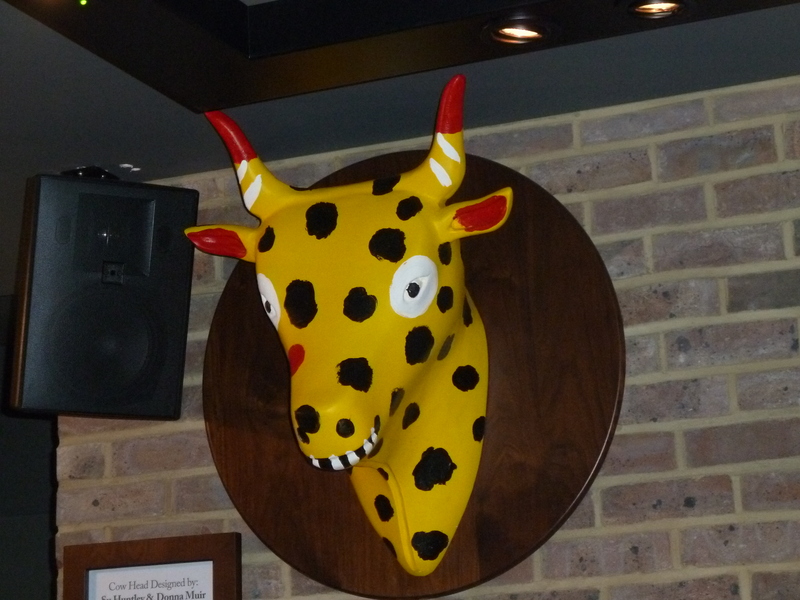 But hopefully not this scary giraffe-cow head on the wall. 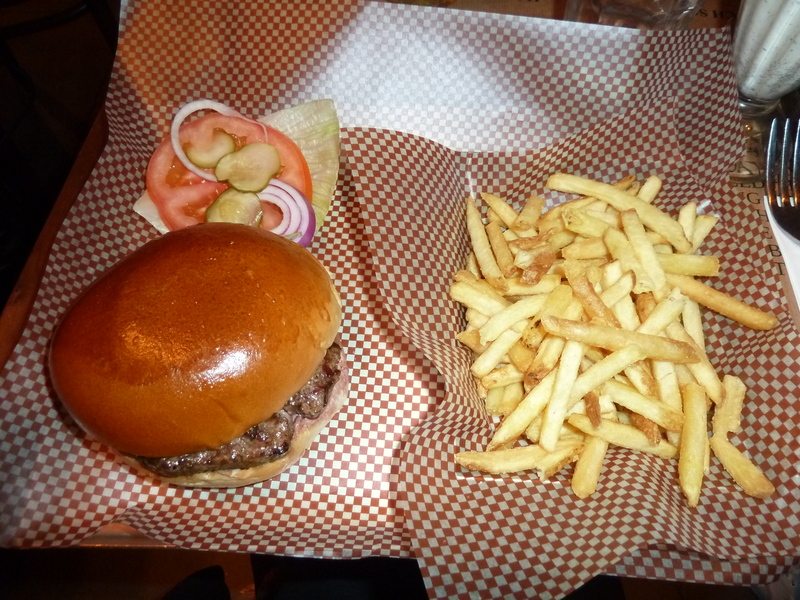 Food 3/5 – Burger is great but let down by fries. Value 4/5 – Late night deal is a bargain, otherwise prices are to be expected in central London. Service – 3/5 – Prompt. Atmosphere 2.5/5 – A little cramped and loud for my liking. It’s not a place where you can relax.